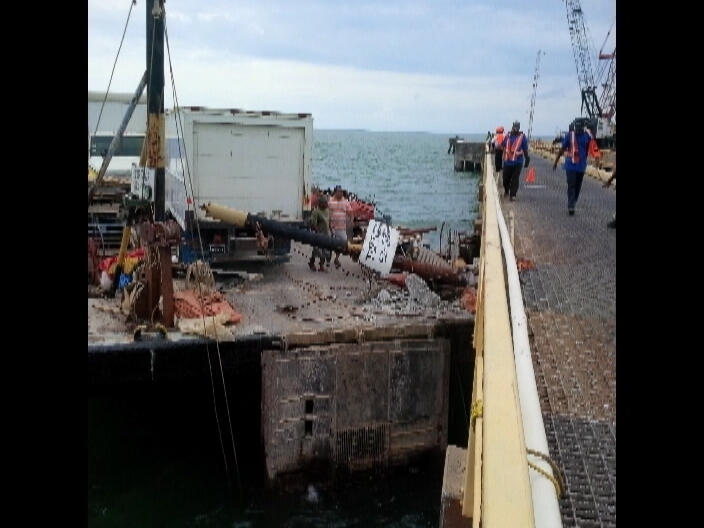 The collision of a barge into the pier at Port of Belize Ltd., shortly before five o’clock this morning, has forced the company to temporarily cease operations at the dock. The freight boat was entering the low berth area of the facility when it crashed into the edge of the wharf, damaging a number of supporting columns beneath. The vessel, we understand, was coming in from San Pedro when the accident took place. 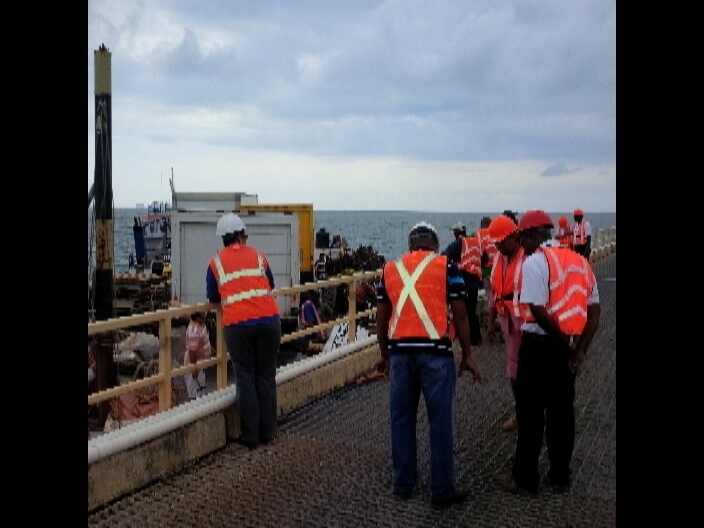 While the company is looking at an alternate means of loading and offloading cargo from its scheduled arrivals, the owner of the vessel, registered to a company identified only as Crystal, is being investigated by the Belize Ports Authority to determine the cause of the accident. 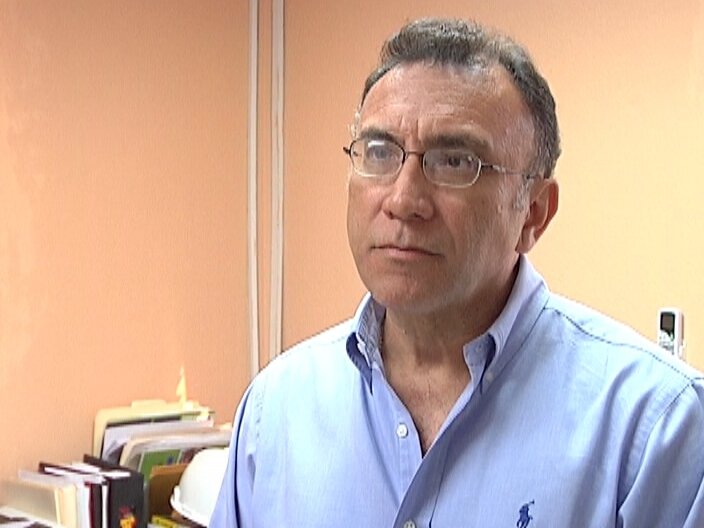 Arturo ‘Tux’ Vasquez, C.E.O., Port of Belize Ltd. According to C.E.O. 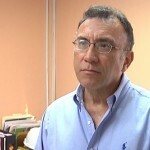 Arturo Vasquez, repairs of the damaged pier will cost north of a hundred and fifty thousand dollars. The work, he says, will be expedited in order to allow for operations to resume at the pier head. Repairs at the Port of Belize are on schedule, and the port will remain closed until next week Tuesday. CEO Arturo "Tux" Vasquez tells us that the contractor is demolishing the three existing beams that were damaged when the Krystal Tortuga barge ended up underneath the main pier. That's hundreds of feet away from where it should have been on its course to the low-berthing facility. We understand the barge operator is blaming it on a mechanical failure. Three new beams are scheduled to be put in this weekend and work should be finished by Monday. In the interim, the arrival of three ships into port have been re-scheduled creating some shipping delays. The damages and delays are expected to cost close to half a million dollars. Tonight two cargo vessels are waiting at sea and the shelves in the port warehouse are bare because the Port of Belize remains closed, more than a week after a barge crashed into it. CEO Arturo Vasquez told us this evening that the damaged beams have been removed and hauled away, and work on the news ones has been completed and everything re-assembled. Now, they are waiting for the cement to set so that the bridge can reach the required strength to support the massive weight of containers being hauled across it. Work to cast the three beams that had to be replaced finished at 3:30 this morning - and the cement needs 24 hours to reach the required strength. So that should be finished at 3:30 tomorrow morning - in time for offloading of the Seaboard vessel to start at 8:00 am. Vasquez says the Seaboard will be brought into dock tonight, so that it is ready for tomorrow morning. After that, the Palencia which has been waiting for four days to offload will get its turn. But, this schedule depends on the outcome of a concrete stress test which is planned for tomorrow morning at 7:00,. Only if the concrete passes that test, will the bridge be cleared for heavy traffic. The week of closure has seriously affected merchants, exporters and shipping agents. It was caused by an accident where the Krystal Tortuga barge crashed into the bridge last Tuesday morning. 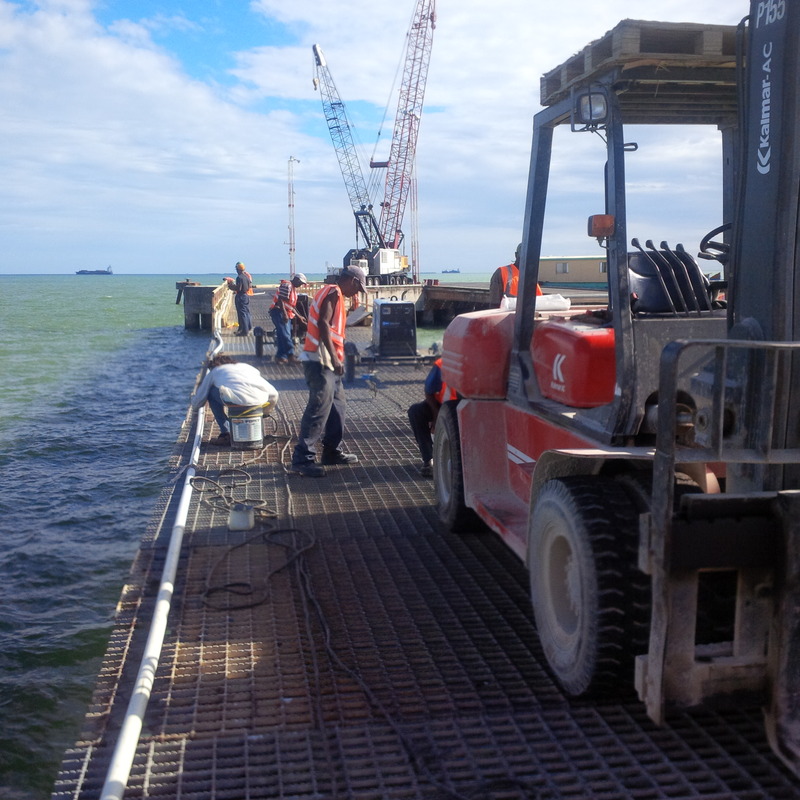 Repairs to the wharf at Port of Belize Ltd. have been ongoing since an accident last Tuesday during which an incoming barge caused significant structural damages when it collided into the supporting columns below the pier. New beams, we are told, were successfully installed on Monday and tonight finishing works are underway. 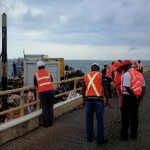 The pier should be partially operational by eight o’clock, once all the gratings, waterline and electrical lines have been restored. Light trucks will only be allowed unto the quay in the interim, as it is expected that a team of engineers will conduct final assessments of the required PSI necessary on Wednesday morning. In the interest of saving time a Seaboard vessel, complete with all necessary boarding processes, will be the only freighter allowed to dock tonight. Operations on that vessel are scheduled to begin in the morning. That decision was taken as a result of the Wednesday’s cruise ship schedule.